Murrayfield Racers remain on course for the quadruple after booking their place in the final of the Scottish Cup. 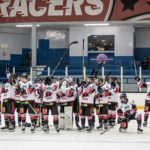 The Racers’ 5-3 win at Kirkcaldy Kestrels on Sunday completed an 11-3 aggregate success to secure their spot at Dundee Ice Arena. Michael Ireland (2), Callum Boyd, Ethan Reid and Joel Gautschi were on target for the SNL champions, with Garry Simpson, Graeme Allan and Allan Anderson grabbing the goals for the home side. 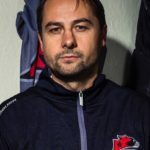 Tony Hand’s side will now face either Dundee Comets or Aberdeen in the last game of Scottish Ice Hockey’s Cup Finals event on Saturday, 11th May. 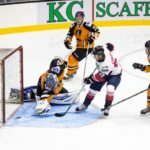 The Racers are back in action next Sunday when they host Solway Stingrays in the quarter-finals of the SNL play-offs (face-off 6.00pm). The winners will progress to the Final Four Weekend at Dundee to be held on Saturday/Sunday 30th/31st March. 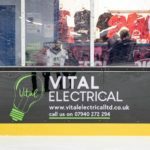 Murrayfield are also through to the final of the Stuart Robertson Cup against North Ayrshire Wild. This will be a two-legged tie over the Easter weekend.